I got the baking done in time, but just didn’t get the blog entry done in time to post on Tuesday. Thank goodness this was very easy or I would not have even done the baking. This has been one of those weeks! Just four ingredients, stirred together and baked…so easy. While this tasted good, I will have to admit that I am a much bigger fan of other types of bread. It was excellent with some homemade Kumquat Marmalade and we also used it under Sloppy Joes for dinner one evening. The marmalade recipe can be found on page 38 of the Ball Blue Book of Preserving, 2006 edition. Hi, thank you for visiting and posting on my blog. Your loaf and the jam look great and so yummy. 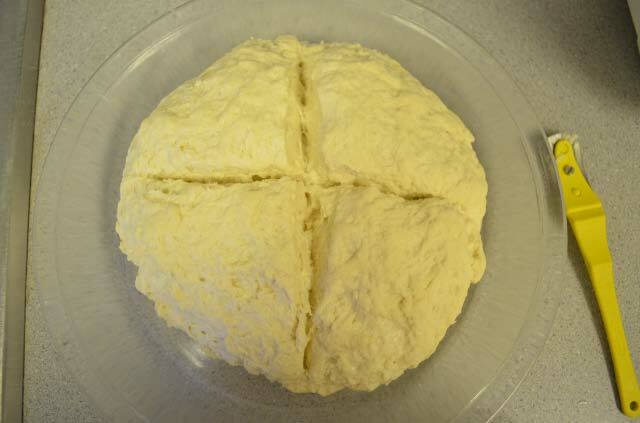 This recipe is so simple and so loved by my family that I bake it quite often. Thank you Julia – Thanks TWD! So pleased to be part of the group. Everyone is lovely! Fab experience! 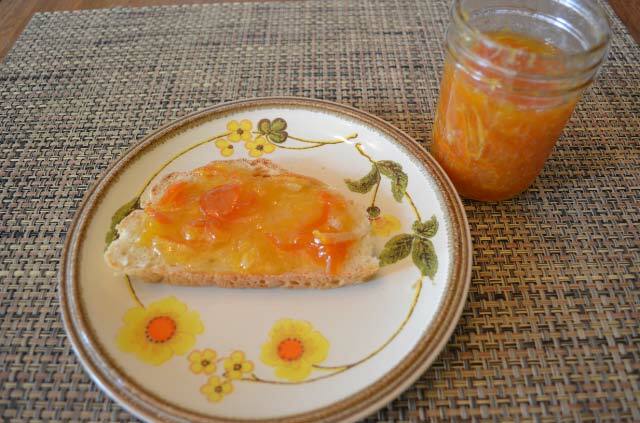 Your bread with the marmalade looks great! 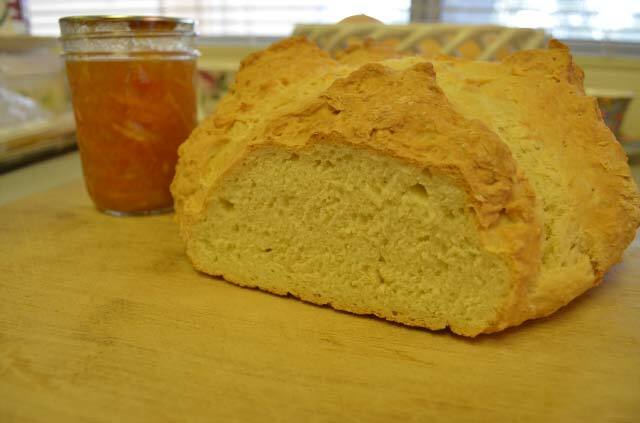 The marmalade looks like a great topping for a slightly warm slice of this bread – yum.